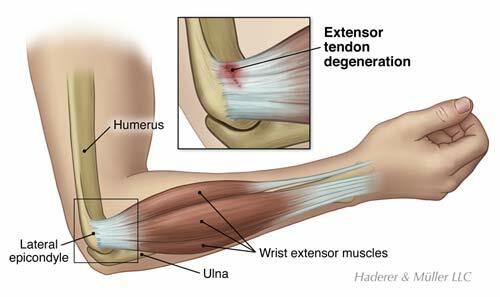 Tennis Elbow is a condition that results in deterioration of the tendon fibers that attach to the bone at the outside of the elbow. Tendons are strong fibers that attach muscles to bone. They are tissues that do not stretch easily and are susceptible to degeneration under repeated or traumatic stress. Another name for Tennis Elbow is Lateral Epicondylitis. The pain of Tennis Elbow occurs primarily where the tendons of the forearm muscles attach to the elbow bone at the Lateral Epicondyle. Playing racquet sports is only one cause of Tennis Elbow. However, most individuals with Tennis Elbow participate in work or activities that require repeated use of the forearm muscles. 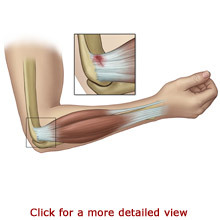 Tennis Elbow most commonly occurs in individuals between the ages of 30 and 50 years old. Tennis Elbow is caused by chronic stress to the forearm muscles, especially the Extensor Carpi Radialis Brevis. The repeated motions and stress can cause the tendon to degenerate (tendonopathy). As the name Tennis Elbow implies, playing tennis or other racquet sports is one cause of the condition--particularly, repeated use of the backhand stroke, forearm stroke, or serve with poor athletic form. However, most individuals with Tennis Elbow perform repetitive forearm motions as part of their jobs or recreational activities. Activities such as meat cutting, hammering, screwdriving, plumbing, painting, and weight lifting require steady powerful grasping and gripping movements. Playing the piano or using a keyboard place the hand in a raised position for a prolonged length of time. Additionally, many individuals develop Tennis Elbow for no identifiable reason. A physician will perform an examination and review the individual’s medical and activity history to make a diagnosis of Tennis Elbow. The physician evaluates the forearm structures by using simple tests. The history and examination, supplemented with X-rays of the elbow are sufficient to make the diagnosis. Magnetic Resonance Imaging (MRI) scans are rarely used to diagnose Tennis Elbow. X-rays may be used to assess if the elbow bone was injured and help rule out other possible causes of elbow pain, such as arthritis. When taking an x-ray, a camera focuses on the elbow area and a picture is taken. MRI scans may be used to provide a very detailed view of the tendon injury. The MRI equipment takes images by focusing on the elbow area. Both imaging techniques are painless and require that the individual remain very still. Following surgery, the elbow is placed in a small splint. Most cases of Tennis Elbow respond to non-surgical treatments. Treatment typically includes rest, activity restriction, and activity alteration. You may be instructed to apply ice or receive medication to relieve pain. Tennis Elbow may also be treated with corticosteroid medications. Corticosteroid medication is used as a pain reliever and anti-inflammatory. You may be referred to a physical therapist. Your therapist may fabricate or issue a wrist splint or forearm band. The splints can help to relieve symptoms and promote healing. Your therapists will teach you specific exercises to increase your strength, endurance, coordination, range of motion, flexibility, and functional use of your arm. 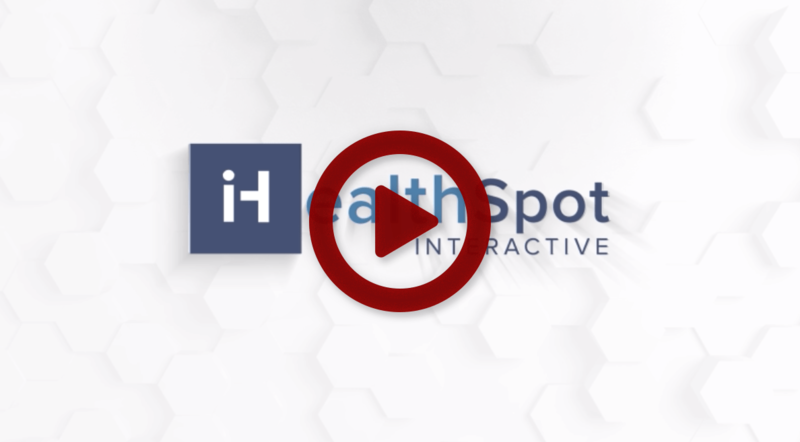 This is done in conjunction with modalities to increase blood flow and ease pain, such as heat, ice, ultrasound, electrical stimulation and massage. If you undergo surgery, you will begin physical or occupational therapy soon after, to ease pain, improve range of motion, and promote healing. Muscle strengthening can begin several weeks after the surgery. Your therapists will teach you exercises to progressively improve your strength, endurance, coordination, and functional use of your arm. Most people are able to resume their full activities in four to six months. With non-surgical treatments, symptoms of Tennis Elbow may be relieved as early as four to six weeks. However, many individuals have chronic symptoms for many months. Individuals requiring corticosteroid injections or surgery may take several months to recover, but typically can achieve good results. Following surgery, people typically return to their full activity level within four to six months. Tennis Elbow surgery produces successful outcomes for the vast majority of individuals. Tennis Elbow does not usually lead to severe problems if it is treated. If left untreated, it rarely leads to loss of motion and function.